Tampa, FL, September 5, 2017 – TeamViewer, a leading global software provider for digital networking and collaboration, today announced its partnership with KUNBUS to provide remote access functionalities on KUNBUS Revolution Pi (RevPi), an open, modular industrial PC based on the established Raspberry Pi Compute Module. KUNBUS RevPi Core offers a solution for engineering organizations that allows them to upgrade legacy machines in factories, enabling them to become smart and hook up to the Industrial Internet of Things (IIoT). KUNBUS RevPi Core will now integrate with TeamViewer’s remote support solution, providing users with secure and easy-to-use capabilities to remotely access, control and maintain the connected machines. This will enhance the continuous and reliable communication between different industrial networks and systems, arming operators and gateway managers with accurate information to act quickly when issues arise. 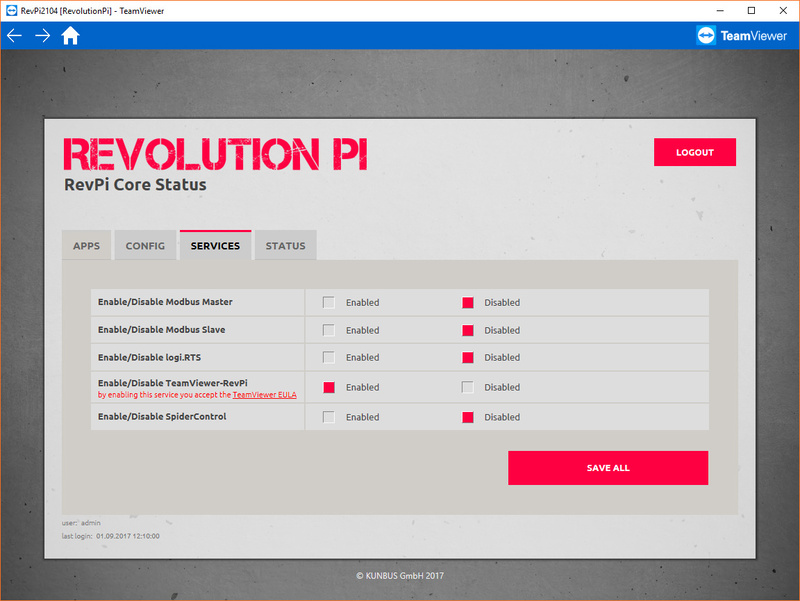 Previously,’ KUNBUS customers were restricted to the built-in web server UI of RevPi Core locally. However, the connectivity to browsers running on local PCs is not enough for customers looking to innovate their business models, improve maintenance and monitoring of existing machinery and benefit from new revenue streams. Improved visibility of a machine’s current and future states: Manufacturer or maintenance providers will have access to integrated dashboards that provide instant access for control, data capture and support so they can easily intervene directly when something goes wrong from any location and any device. Secure user management, authentication and control: RevPi with TeamViewer offers secure user management, authentication and control features to ensure privacy for businesses and its customers. With the right permissions set, information is only shared with and accessible by the approved user. The solution utilizes public/private key exchange, end-to-end session encryption and access controls via trusted devices as well as black- and whitelists. KUNBUS Revolution Pi Core is an open, modular industrial PC based on the established Raspberry Pi Compute Module and composed of open hardware and software meeting the EN61131-2 standard. 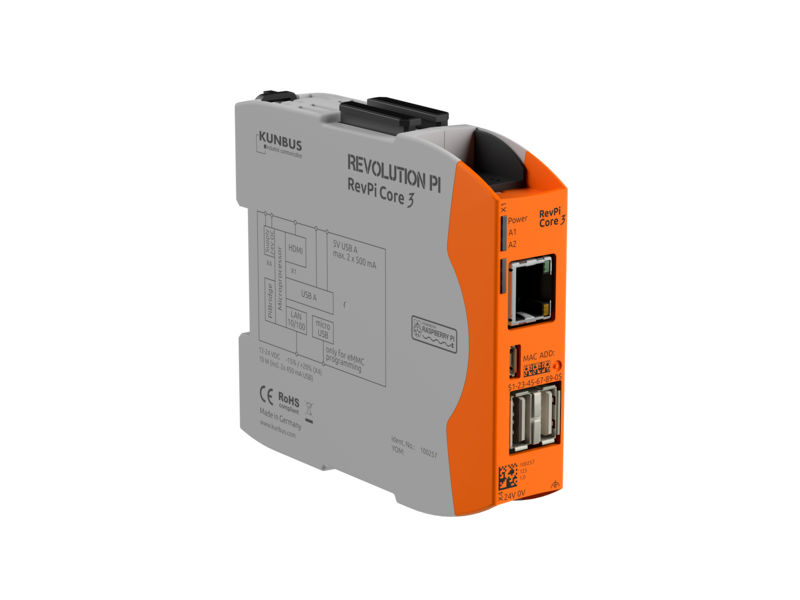 The RevPi Core can, depending on customer requirements, be expanded and supplemented seamlessly using digital or analogue I/O modules as well as appropriate fieldbus gateways to connect it to an industrial network.